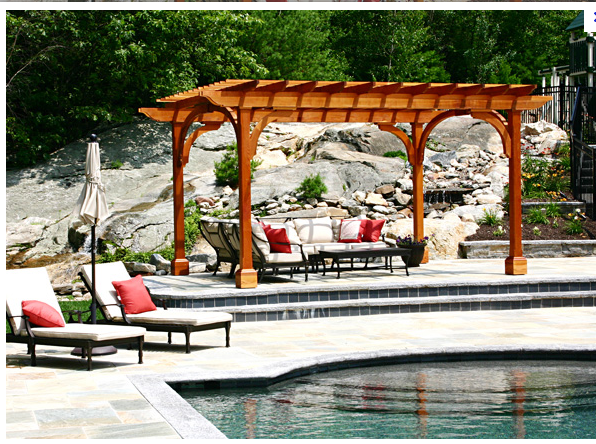 Curved roof pergolas are a luxurious design edition to any yard or patio. The elegant lines are truly no more difficult to build than a regular straight edge. There are many beautiful kits you can find such as the one in the photo above from Forever Redwood. They come complete with step by step instructions on how to build it along with all the attachment hardware needed. Boards are cut and stained according to the design you want and marked so that you are pretty much just putting slot A into tab B. However, if you want to build the pergola yourself, a curved roof design is also an option and you shouldn’t be deterred from working with the roof pieces cut with a curve. 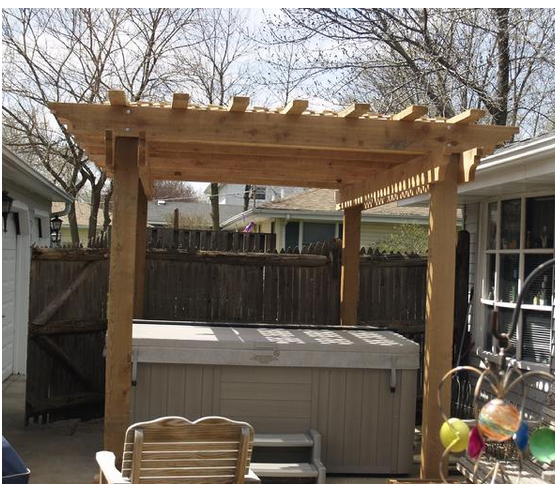 From the example above you can see that redwood is an excellent choice for a pergola and will bend very nicely. Don’t worry! You don’t need to do any bending. 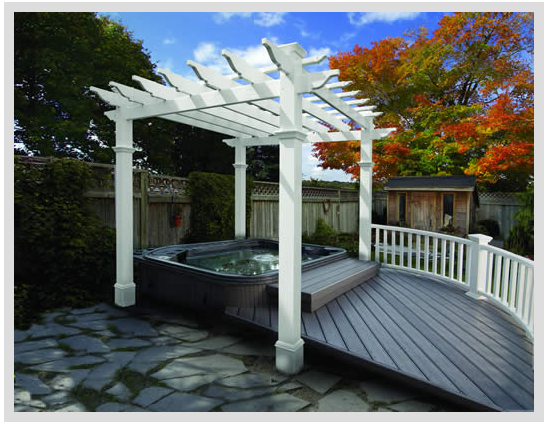 A good lumberyard will be able to provide you with the curved pieces according to your required dimensions. Notice that the ends of the curved rafters are kept with a straight cut. This is also true of other kits we’ve found as well. Once you have pieces curved and measured out for the correct arc, you really don’t want to mess with cutting fancy edges at that point. Some designers think any fancy edges are overkill and it certainly does keep the focus on the graceful lines if you keep it simple. But the example above also looks beautiful with the fancy edges reserved for the straight beams and top level of rafters. The curved roof might be a little bit more cost, but we promise it will not add extra work to your building project. 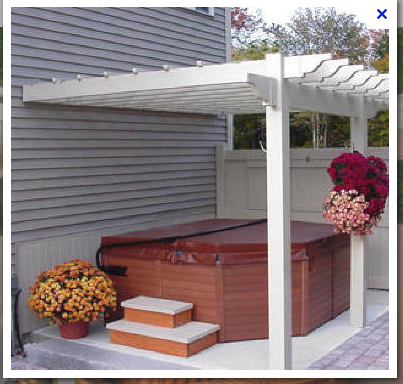 In the end, it would be something that will provide an even more unique look to your pergola design. 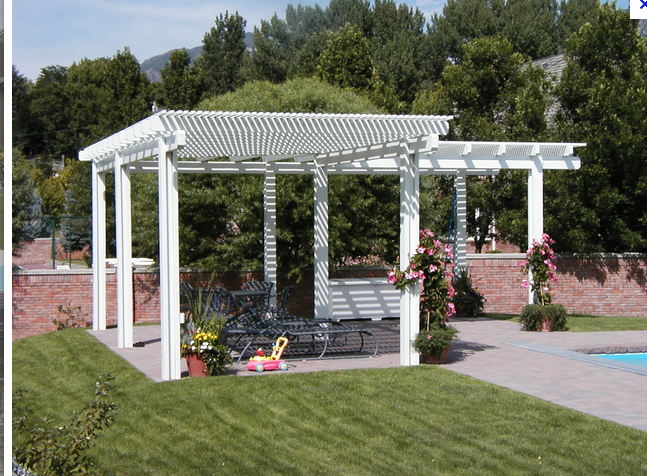 Pergola designs are endless. As soon as you start looking for one, you can easily be overwhelmed with the many options! Look at this one – could you have imagined those possibilities? Curved roof line, one wall with a set of screens you can open and close for privacy, post base accents, full lattice roof cover for extra shade and lights strung through them. These options all together are probably quite expensive though probably not all that much more difficult to install on your own. The expense would just be in the extra material for the bases, wall & lattice pieces. Curving a roof is actually quite common with outdoor wood structures. Think of an arbor which nearly always has a curved roof. It might be a little more expensive and a little more complex planning out measurements for the proper angles, but the only pieces that are curved are the beams and rafters. 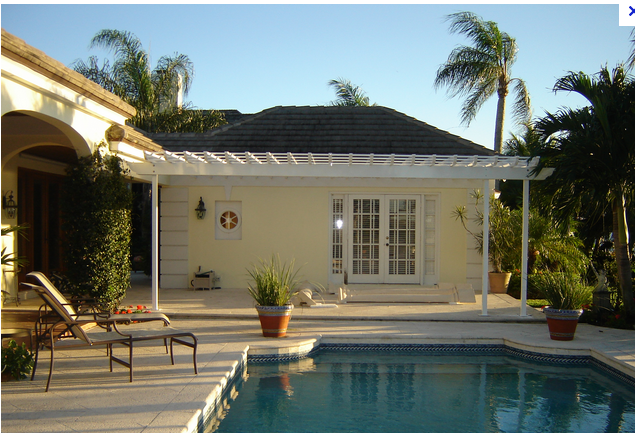 Just choosing a curved roof design on your pergola would be enough to make it elegant and upscale. The lattice slats can be purchased in sections and just attached to the rafters as you would simple, straight slat pieces. The purpose of it’s use here is to create more shade and the look of a more complete roof. The advantage is that they are very lightweight pieces and don’t add too much to the load that the posts and beam need to bear. A very creative solution. The screen walls on a pergola are quite unusual. Since the houses here are close together, the homeowner’s were looking for a way to have greater privacy when they sit outside. The use of the screens that can open or close allows them to let in light if they want to, but to close it when they don’t. This addition is probably the most expensive one since they are solid screens with hinges that need to be properly installed. However, it is certainly something to consider if you privacy is an issue. If you only add this feature and eliminate the others it might not put you too much over budget. The post bases are beautiful and since they are only used on two of the posts, probably not too high priced. 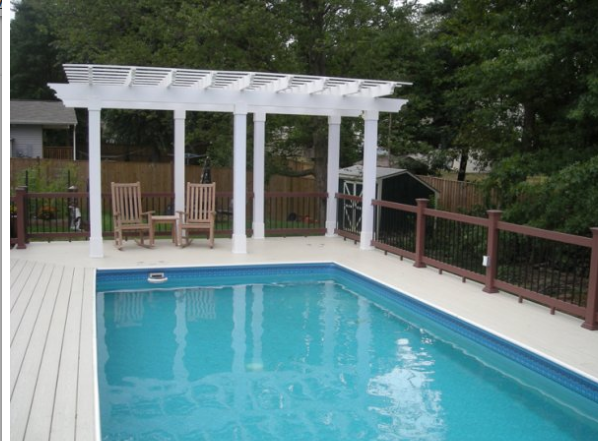 It’s actually quite easy to attach base or top trim to posts even after a pergola is installed. These are simple trim pieces that can be nailed or screwed into place quite quickly. 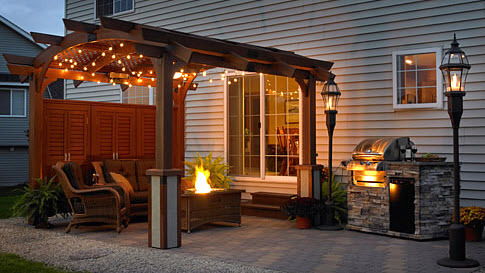 If you are considering building your own pergola, here are 5 tips to follow before you get started.